Recent reverse mortgage reports in financial planning trade press are already beginning to help some lenders generated new business. A stark departure from headlines of the past, recent coverage has touted the use of reverse mortgages as a sound retirement planning tool. A Journal of Financial Planning article published in March and an Financial Advisor magazine article that followed highlighted the use of the reverse mortgage Saver product and demonstrated the way in which a reverse mortgage can be used as an alternative to drawing down on other forms of investment. From one financial planner to another, the message is now beginning to ring true for reverse mortgage originators. Financial planners are beginning to come around, says Owen Coyle, reverse mortgage specialist with Reverse Mortgage West, who already has seen a loan close based on a referral made following the financial planning research. Coyle says when he sees financial planning coverage, he sends it to a list of two dozen financial planners in an effort to continue the referral relationships. Working with financial planners is not a new concept, by any means. But the nature of the conversation has already begun to change, says Mike Gruley, of 1st Financial Reverse Mortgages. 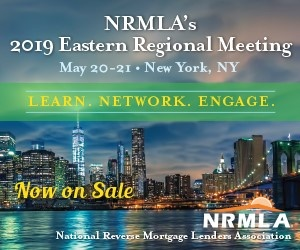 The message changes completely, however, with industry members speaking to one another about reverse mortgage products, rather than those in the industry trying to spearhead conversations with those same financial planning naysayers, he says.